Tree like shrub, usually with a single, robust, erect stem, reclining with age. 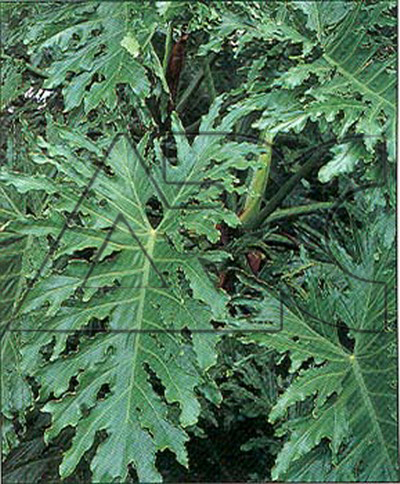 Very long stalked, reflexed leaves, up to 1m long, are broadly ovate, heart shaped at the bases, and deeply pinnatisect, with many narrow, waxy margined, semi glossy, rich green lobes. Green to red purple spathes, 30cm long, are cream with red margins inside.